These interactive comics are great fun for all ages! You simply put the mini CD into any standard CD rom and press play. From there nice marvel style music will play and you interactively control the comic turning the pages and zooming in on anything that you would like. 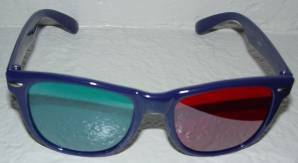 Comes with 1 pair of Anaglyph 3D Glasses. Great for any television or projector with a computer input (any type including plasma, LCD, DLP etc…).